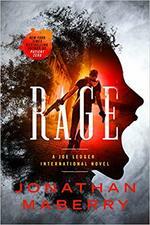 Rage is the first title in Jonathan Maberry's brand new Joe Ledger spin-off series of international weird science thrillers. A small island off the coast of Japan is torn apart by a bioweapon that drives everyone―men, women, and children―insane with murderous rage. The people behind that attack want Korea united or destroyed. No middle ground. No mercy. And they are willing to punish any country that stands in the way―the United States, China, and Japan could all be consumed by a plague of pure destructive slaughter. Joe Ledger leads his newly formed band of international troubleshooters in their first mission to stop the terror cell, fighting alongside agents from North and South Korea. With the lives of billions at stake, Ledger is willing to bring his own brand of terror to this frightening new war. Rage is the first of the new adventures of Joe Ledger and Rogue Team International. For pre-order information for Amazon, Barnes & Noble, Books-A-Million, IndieBound, and Powells, go here. For pre-order information for Mysterious Galaxy, go here. 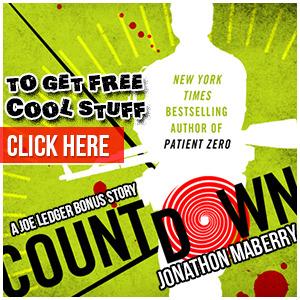 Check out the original Joe Ledger series!